Pardew looks to US tour as perfect preparation for next season. | NUFC Blog. Pardew looks to US tour as perfect preparation for next season. Pardew: Looking forward to US trip. 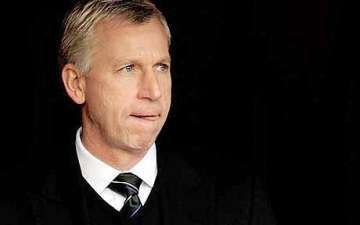 Newcastle United manager, Alan Pardew is looking forward to the team’s forthcoming 3 game tour of the United States. “I know the facilities are top, top drawer, it’s good and accessible for our fans to see us. “It’s massive for them. They’ve got to make a breakthrough if not this year then the following season. Other pre-season friendlies announced so far are an away trip to Darlington, which precedes the U.S. Tour on the 15th July. Tickets are not on sale yet but according to the club they are “likely to be released next week” (week beginning 4th July). Darlington have allocated 5378 tickets, with the whole of the Darlington Arena’s North Stand being set aside for Magpies fans. When tickets are on sale it is believed that they will be £10. Finally there will be another away fixture after Newcastle’s return from the United States, this time to face Leeds at Elland Road on 31st July. There don’t seem to be many details on this one yet, though tickets are thought to be around £15 for this fixture. Here’s hoping that the lads get off to a good start!NUFC Box Office. With Newcastle United in the US – A Geordie expat’s view. How did Ashley manage to pay for our squads flights, didn’t know Ryanair or Easyjet were flying to America??? I think he used what is left out the AC money to pay for the flights.